MaddStoves are HETAS accredited and registered installers of quality British and European wood burning and multi-fuel/solid fuel stoves based in Abernethy on the border of Perthshire and Fife, Scotland. We cover a wide area that includes Perthshire, Fife, Tayside, Angus, Edinburgh and Clackmanninshire. We are a family run business with many years experience, full HETAS accreditation and some of the most competitive prices in the area, it’s no wonder we have seen many satisfied customers have their stoves supplied and installed by our company(see link to our 5 star reviews on Yell and Facebook). If you have bought you multi-fuel stove elsewhere and are looking for an installer, we offer a FANTASTIC fixed price for installing your stove that includes chimney flue liner, vitreous enamel flue pipe, etc. Visit our Installations page for more details. 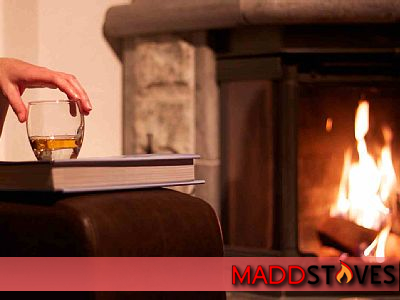 What can Maddstoves can offer you? We provide expert services in the field of stove installation, servicing and repairs covering Perthsire, Tayside, Central Scotland & beyond. We can also offer chimney sweeping services and we supply quality firewood to homes throughout the area. For your ideal stove installation!